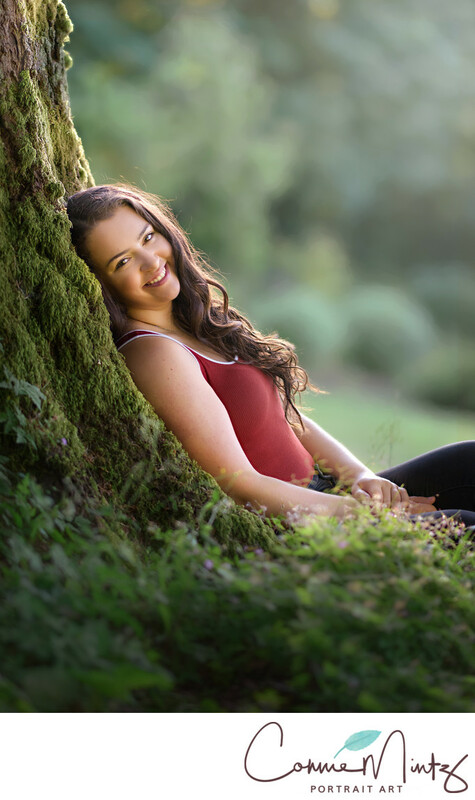 Gorgeous directional light highlights the beauty of this high school senior portrait. Posed next to a mossy tree to contrast sharpness and softness. Keywords: chloe (6), high school senior (18). 1/800; f/1.8; ISO 640; 105.0 mm.